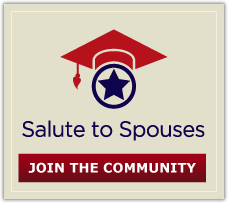 We're excited to be blogging about the latest topics in military life. We want to keep you informed on topics such as current events, education, career advice, etc. Feel free to post comments or questions to any of our entries. On Memorial Day my husband was thanked everywhere he went for his service. Yesterday on the Fourth of July he was thanked again, everywhere he went, for his service. Even on Labor Day last year he was lauded and praised. Are we the only military family that is slightly irritated and perhaps appalled by how little Americans know about their own holidays? The U.S. military is giving families more time after adding a child to the family, and allowing them to determine the best way to use that time. More importantly, the military is recognizing that every family has different needs. The Department of Defense recently directed the services to re-align parental leave programs to become more flexible with the needs of individual families. My life is currently ruled by yellow sticky notes written in red ballpoint ink fluttering on the edge of my roll top desk in the deepening summer breeze from my open window. They often flit down like leaves from some academic olive branch, telling me exactly what is due this week and on what day. These neatly line up with the color coded squares on my google calendar which is auto populated by my school online learning platform. The dates come from the syllabi entered by the professors. Without them I would be a very lost little lamby. I recently asked my husband his lessons learned from retirement. I thought it might be nice to get the servicemember / retiree perspective on things. As usual, he was quick to point out that he’s no expert and his advice may or may not be welcome. And that everybody’s situation is different. And that what might work for one couple or family might not work for another. But I told him there is value in hearing from someone who’s been there, done that. The other night, after my spouse had loaded the dishwasher after dinner without being asked, I went into the kitchen to add a few stray dishes and push the start button. Wait. Why was I doing this? Because that’s the way I’ve always done it. This year may well see a ginormous shift for us. It has come to my attention that the master’s degree I am pursuing is going to take a whole lot more concentration as we progress toward the walk. Coupled with a change up in the neighborhood dynamics, it looks like we will be moving to a more traditional schooling pattern for my girls. My two kids are currently reporting in grade school as homeschool students in our district. Yep, my kids are gonna hit public school after only ever having experienced pre-school many years ago.